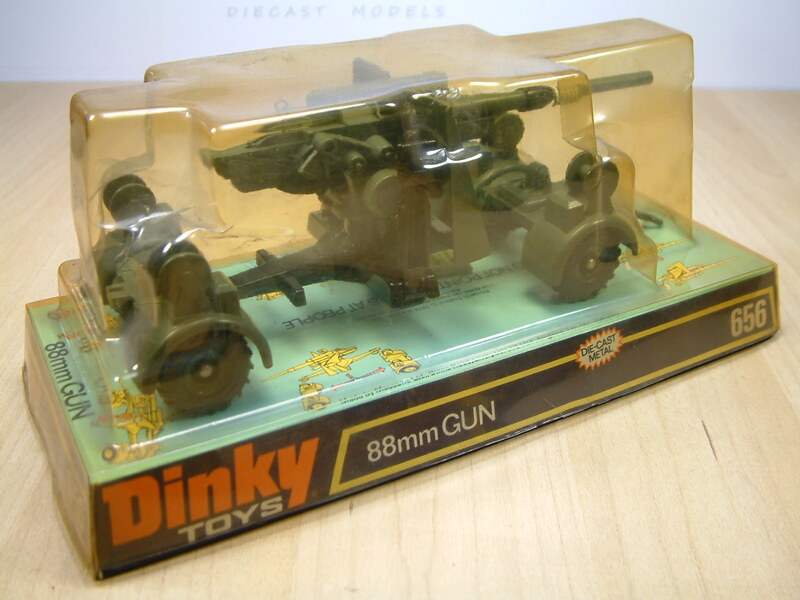 ← Dinky No 227, Beach Buggy. 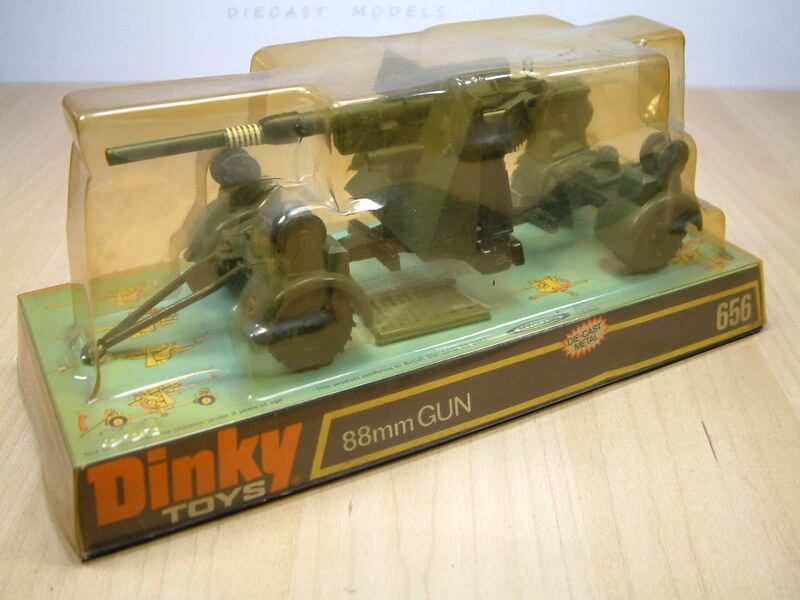 Dinky 656 German 88mm Mobile Gun. 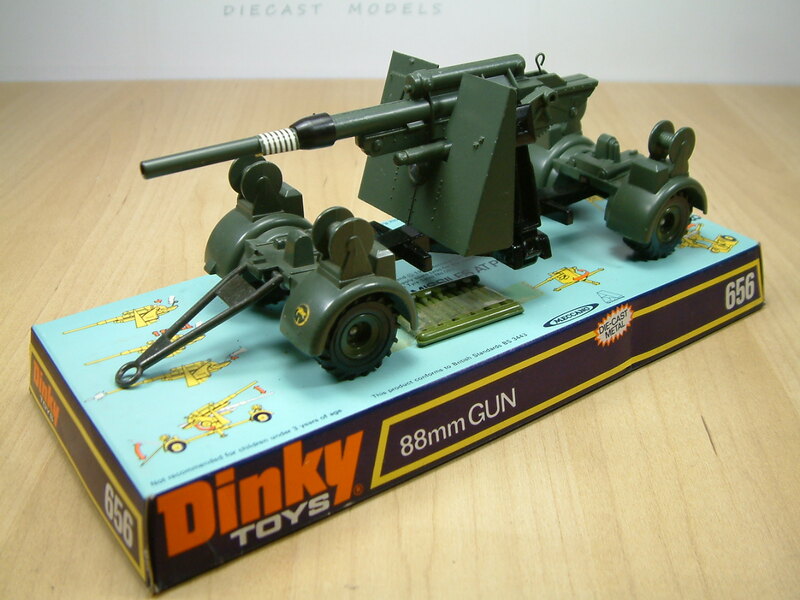 This is a Dinky 656 German Army mobile 88mm Gun. 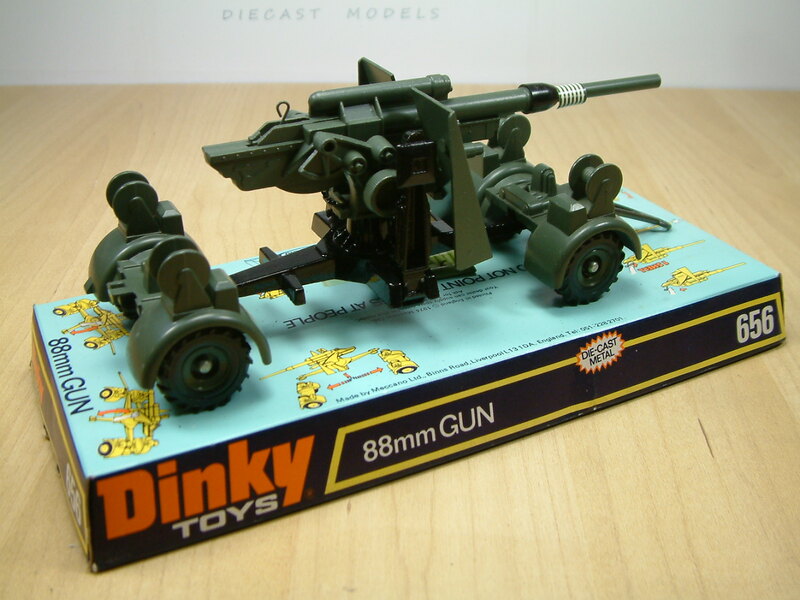 One of the most complex models Dinky produced in the 1970’s. The front and rear wheel sections were removable, and the cannon itself had legs which hinged down to make it a fixed ground artillery piece, that could swivel around 360 degree’s. As with all Dinky cannons, it also fired small plastic shells, which can be seen still attached to this card base under the model. This model was produced between 1975 and 1980. This entry was posted in Military and tagged 88mm, Army, Artillary, Cannon, Dinky, German, Military, Mobile Gun, World War Two. Bookmark the permalink.